This will make me sound old, so I’d better make sure the boys don’t read this! Growing up during the late 80s and early 90s, almost every Saturday morning over the summer, you’d find me at East Shirley Cricket Club, gaining an education in cricket and life from outstanding coaches such as the late Bill Duncan. Then on days when Canterbury were playing, trotting off to Lancaster Park, playing cricket underneath the Canterbury Draught Stand with my mates and other kids of similar inclination, using the stand’s concrete pillars, or a rubbish bin for the wickets. When tiredness set in and after hearing the crowd erupt, we’d head up into the stands to see the likes of Nathan Astle and Craig McMillan blasting away. Although I may not have realised it at the time, that’s what gave me the inspiration to want to play for Canterbury. I was lucky enough to start doing that in 2003, and maybe it’s those sorts of memories, that after 15 seasons of first-class cricket, still inspire me to want to play for Canterbury. This year for the first time I made the tough decision not to play red ball cricket. Four to five days away from home at a time can be awfully taxing on my partner and two children left behind. I’ve also started a job in the ‘real world’ as I work through my transition out of professional sport. But the opportunity to keep playing one-day and T20 meant I couldn’t bring myself to step away completely. While thinking of those early days at East Shirley and Shirley Boys High recently, I realised some of the unique elements about our team today. I was schooled at Shirley Boys, Matt Henry at St. Bedes, Henry Nicholls at St. Andrews, Tom Latham Christchurch Boys High, Cole McConchie Riccarton High School, Cameron Fletcher from Auckland and Chad Bowes from South Africa. Our common thread is our passion for the game but it’s because of our diverse upbringings that I think we’re all able to take a different view on things. We all have unique ways of looking at problems and challenges and hopefully a different way of finding solutions. Cricket is often described as an individual sport within in a team sport, however in my experiences it’s how you come together as a team, that enables the team to be successful. Individual success often follows team success. Swapping the spikes for studs. 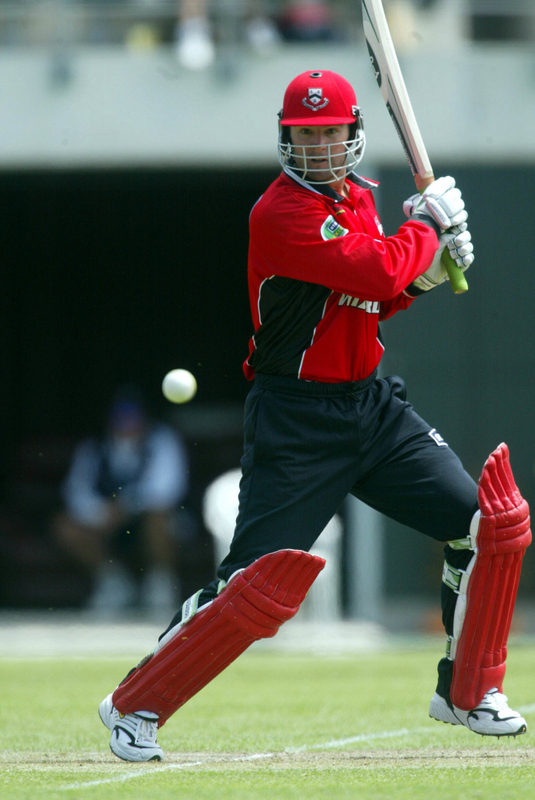 It was about early April 2003, I was in my early 20’s, and my debut season for Canterbury Cricket was coming to a close. Some of my team mates were getting ready to head off to the UK for the winter. For me though, my immediate focus was on more of a change of sport rather than just a change of scenery. Initially I was getting ready to play for Rangers, then a phone call came from Danny Halligan who was Player-Coach for Canterbury United. They had about a month to go in their season and had some injuries at Centre back. So, after being asked to come onboard, I jumped at the chance to swap my Canterbury Wizards top for a Canterbury United shirt. I got to play alongside the likes of Ben Sigmund and played their last 3 games of the season. They were all over the country, we went to Tauranga United, played Dunedin Tech and North Shore United. I had such a fantastic time playing, the games were really intense games of football and have been one of my most memorable sporting experiences. In fact, football is probably my number one passion and if I had my time again maybe football would have been a pathway I would have taken, but it wasn’t to be. Having that difference between cricket and football gave me such a good base and probably made me an even better cricketer. If I had focused solely on cricket, I would have missed out on some very important character building that came from playing another team sport. I reckon that’s something some kids are missing out on these days and it actually shows when they make teams. Specializing in one particular sport doesn’t always ensure you’ll be the best at it in the future. In fact learning lessons in a variety of sports, especially team sports, is often more beneficial in the long run, from both a physical and mental perspective. I’ve experienced it within our Canterbury Cricket teams over the years, with the likes of ex-Canterbury all rounder Logan Van Beak a fantastic Basketballer growing up, making New Zealand age grade teams, and also ex-Canterbury captain Peter Fulton being an extremely good fullback in rugby. Look at the likes of Tom Walsh with cricket and rugby, Kieran Read and Israel Dagg both handy cricketers too, Anna Harrison has represented New Zealand at both netball and volleyball and Tessa Boagni got offered volleyball and basketball scholarships to study in America. Active and diverse sporting pathways are hugely important for our young sportspeople. During my own sporting experiences, and also recently as manager of our Canterbury Pathway to Podium programme, I have seen clearly that having diversity of sport in someone’s development can end up being a real strength in a High-Performance environment.